Followed by entering the password that I also use when doing a remote desktop connection. Do I need to configure something on ubuntu/window8 to establish a connection using smb? And share a folder on the windows8 machine, but still get the same error as above. which is not that helpful. I don't see the machine that I would like to mount. Only a bunch of printers and my own local virtual machines. Okay here's things to check. This section is basically lifted from here put the relevant info here incase Microsoft decide to pull the page. 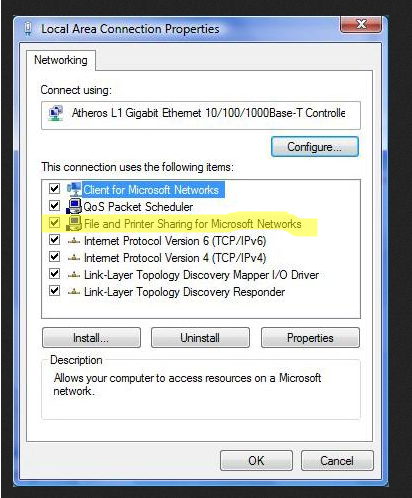 Windows 8 asks you when you first join a network if you want to enable sharing for that network. To turn sharing and connect on or off. View a list of available networks by swiping in from the right edge of the screen, tapping Settings (or if you're using a mouse, pointing to the upper-right corner of the screen, moving the mouse pointer down, and then clicking Settings), and then tapping or clicking the network icon (Wireless network icon or Wired network icon). Press and hold or right-click the network you're connected to, then tap or click Turn sharing on or off. Windows 8 can let turn sharing on but discovery off. Check your windows firewall and 3rd party firewalls that SMB is allowed through. I think Windows 8 will take care of the Windows firewall by doing steps 2 and 3 but doesn't hurt to check. Not the answer you're looking for? Browse other questions tagged nautilus windows-8 smb or ask your own question. Where can I find the mount point for SMB shares in 13.04? How to connect to smb://…? smb browsing with Nautilus - how to cache results?